Alloy 6061 is one of the most widely used alloys in the 600 series. This standard structural alloy is popular for medium to high strength requirements and has good toughness characteristics. Applications range from transportation components to machinery and equipment applications to recreation products and consumer durables. Alloy 6061 has excellent corrosion resistance to atmospheric conditions and good corrosion resistance to sea water. This alloy also offers good finishing characteristics and responds well to anodizing. Alloy 6061 is easily welded and joined by various commercial methods. 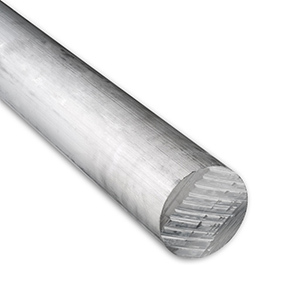 6061 Aluminum round bar (rod) is an extruded product and is used for all types of fabrication projects where lightweight and corrosion resistance is a concern. Commonly used for structural components, machine parts, fixtures etc. 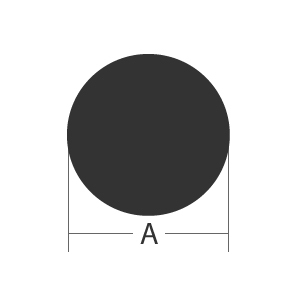 Needs a pack of Aluminum Round Bars 6061-T6511? Check our Metal-in-a-Box Aluminum Round Bars 6061-T6511 discount pack for a pre-packed discounted price metal pack.